Amir Ghalenoei, the new head coach of Esteghlal FC, criticized the departure of some players from this club. Andranik Teymourian and Ghasem Dehnavi signed new contracts with another clubs. Ando left this team to Al-Kharitiyath and Dehnavi joined Tractor Sazi Tabriz Football Club. “Teymourian left Esteghlal only because of money as he stated earlier. He always talks about the people and fans but he doesn’t respect them.” Amir Ghalenoei said. 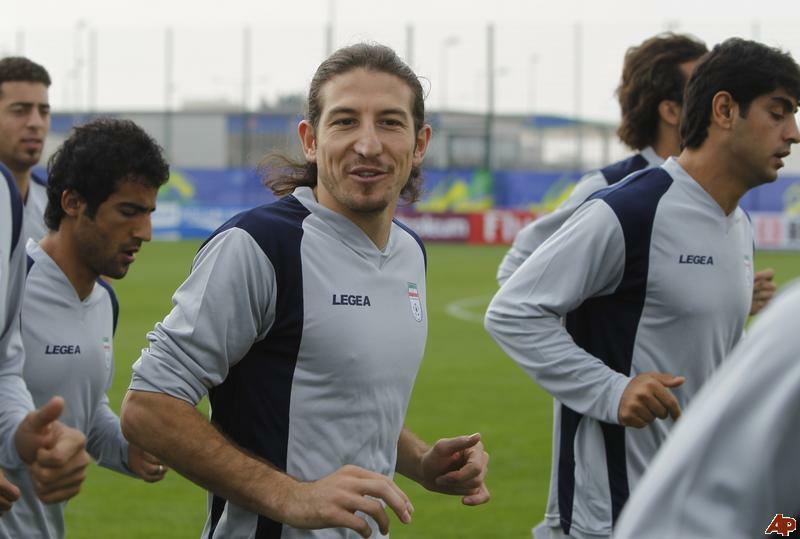 On mid-July 2011, Teymourian signed his contract with Tehran based club, Esteghlal FC. He made his debut for club against Sepahan. On 9 November 2011 he was named as one of the 10 finalists for the Asian Player of the year. He won the Hazfi Cup in his first season. “Ghasem Dehnavi signed an internal contract with Esteghlal. He also joined Esteghlal’s workouts in recent 8 days. But now he left the club and signed with another team.” Ghalenoei added. However Esteghlal signed with Amin Manouchehri in order to replace him with Dehnavi. Manouchehri started his professional playing career with Saipa.